Conscious Robots? Fact or Fiction? Cognitive scientists, psychologists, and engineers have long toiled in artificial intelligence and recently inspired a paradigm shift in our understanding not only of technology but also, in theory, of consciousness itself. Federico Faggin will explain the near-miraculous phenomenon of consciousness and will highlight the basic differences between a computer and a living system. He will also describe the nature of consciousness in much depth, and some of his conjectures on the origin of life and consciousness. 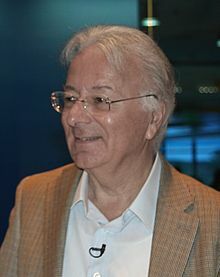 Federico Faggin was born in Vicenza, Italy, and studied physics at the University of Padua. At Fairchild Semiconductors, in1968 he invented and led the development of the MOS Silicon Gate Technology (SGT), and designed the first commercial integrated circuit to use the SGT – the Fairchild 3708. Working for Intel Corporation from 1970 to 1974, he applied the SGT to designing the world’s first microprocessor, the Intel 4004, and many other products, including the 8080 microprocessor, the world’s first high-performance microprocessor. In 1974, Faggin began an entrepreneurial career, co-founding and leading several start-up companies; notably, Zilog, Inc., and Synaptics, Inc., developing touchpads and touch-screens that have revolutionized the way we interface with our mobile devices. 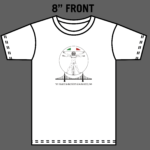 Faggin is currently President of Federico and Elvia Faggin Foundation, a non-profit organization dedicated to the science of consciousness. He is the recipient of many national and international awards, including the 2009 National Medal of Technology and Innovation, from President Barack Obama.